14 photos of a visit in 2005 to this Alsace museum and art gallery, home of Matthias Grunewald's famous Isenheim altarpiece, created 1510 - 1516. Isenheim altarpiece, Unterlinden Museum, Colmar, Alsace, 17 July 2005 1. 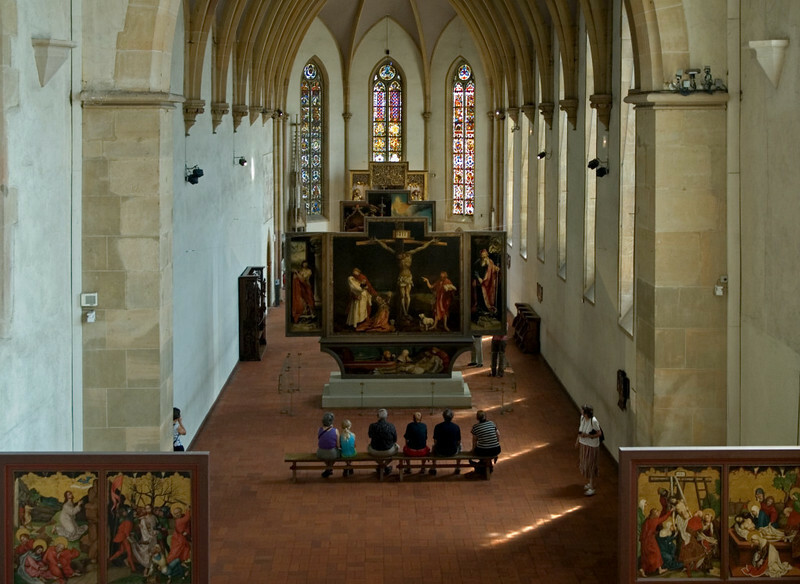 A general view of the altarpiece. It has been dismantled into three sections one behind the other for display. The two painted panels are also painted on the reverse.